company as Vento and have the same engines and features. 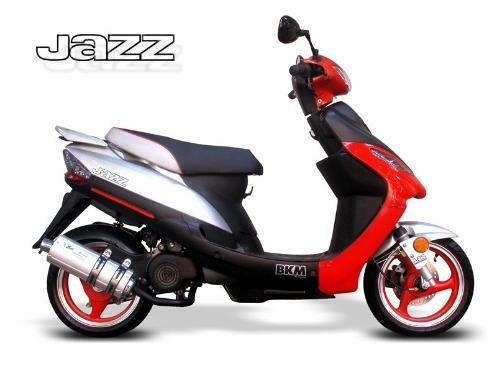 you BKM Jazz motorized scooter in your favorite color today! Remember to always wear your helmet while riding your gas scooter. Obey all traffic laws and keep your scooter in good working order. 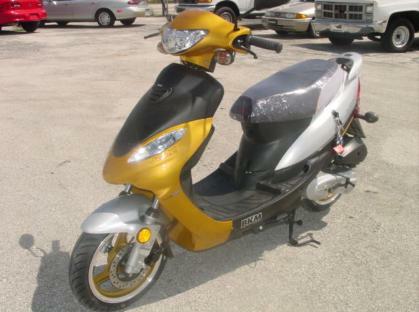 Enjoy the freedom of owning an economical gas powered scooter. put the front wheel on their motorized scooters as well as the handlebars. have an unhappy customer. Please feel free to request references, they will be happily provided. We want you to enjoy owning and riding your new gas powered scooter.